The field of literary criticism is littered with terminology. 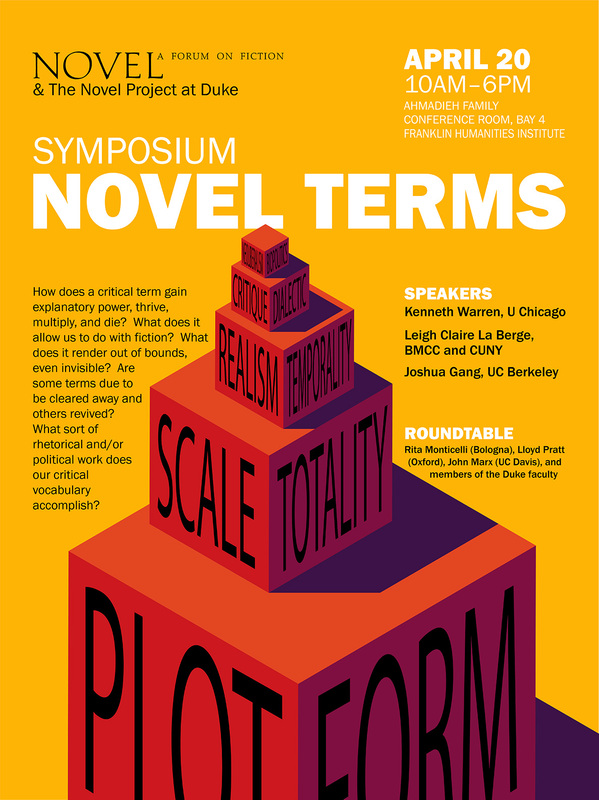 Theories of the novel have relied on a wide variety of terms —e.g., realism, biopolitics, dialectic, network, plot, totality, scale, temporality, character, chronotope, resistance, critique, neoliberalism, financialization, infrastructure, and form — to describe its elements. Yet, critics cannot agree on what these terms mean, much less on what they can do. Does the novel generate a different set of terms from other cultural phenomena? How do we account for the fact that novels—at a certain point in the twenieth century—began to develop their own terminology which seems to change not only with novels themselves but also with the terminology we use to make sense of other cultural historical phenomena. How does a critical term gain explanatory power, thrive, multiply, and die? What does it allow us to do with fiction? What does it render out of bounds, even invisible? Are some terms due to be cleared away and others revived? What sort of rhetorical and/or political work does our critical vocabulary accomplish? 3:45-5:30 Roundtable: Rita Monticelli, University of Bologna; John Marx, UC Davis; Lloyd Pratt, Oxford University; Rey Chow, Duke.